Communicating intelligently with you using digital media, while acknowledging today's marketplace. Our son has a creative talent that operates out of the mainstream. After years of honing this wild imagination into the skills of writing he has written his first novel which will be a series. It has been out for digital download now for 2 months and has received 5 star awards by professional readers. 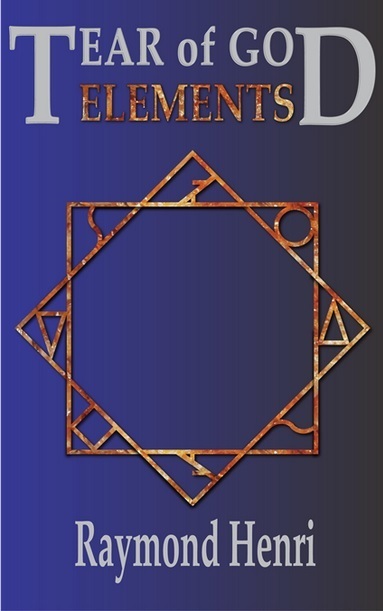 “Tear of God-Elements” is the first of a new series! You can be a part of its success by getting in on the ground floor. Pass it on! The project is regarding a book, rather a series that our son, Raymond Henri Smith, is trying to gain momentum for. He explains it in his video. There is also a Facebook page with a lot of information and that page is either Raymond Henri or Tear of God – Elements. But, here is the nitty-gritty of what we are up to and trying to accomplish. With the right support this novel, now available as an e-book, turns into a series and – I think – a movie! Ground floor development is what this outreach is about. If you follow the link www.kickstarter.com and search for Tear of God-Elements it will take you to the project description and you will see options – I think on the right of the page – allowing for various levels of contribution. Here is another direct link (it may only work after you sign up) Tear of God Elements kickstarter You “sign up” or create an account with “kickstarter” in order to contribute. Only one contribution per email is allowed. Your contribution, at this point is a pledge, and when the support reaches the target goal dollar figure, which is in excess of $17,000, by June 28 then the pledges will be claimed. Kickstarter is an organization that enables people like Raymond to initiate a project and tests the viability of that project by seeking support initially. If the support is there, in that narrow time frame, then the project is deemed worthy and is endorsed. Thank you very much for your interest and for your support. Please relay the message to as many people as you can. A large base of supporters is needed in order to meet the objective effectively. I am hoping that you will take the time to look into this opportunity and chip in. All contributions are much appreciated. “The book is already written. The distributor already has the files. The distributor has already drawn up a quote. Those who have already read the book have given their endorsement. There is no risk to the paperbacks’ production and delivery. The biggest problem would be fulfilling all the rewards. Those have their own production timelines. Mostly, the turnaround on those is faster than the printing of the books, but it would be a lot of inventory to manage. I will potentially have thousands of books and related gifts to process. I am okay with that and have plenty of extra hands willing to help. There is only one way to eat an elephant. One bite at a time. I have an innate ability to focus on the details while keeping the big picture in mind. I am also in the unique position to be able to put all my time into the fulfillment of this project. Here are the titles for the “sequels” … the second novel is being written now! Hello, I would like to tell you something about myself. I like interacting with the customer, helping them find solutions, and to that end I know my product line and how it will benefit my customer. So I pursue staying current with product knowledge certifications, and I have been this way since 1975, when I first entered the Car Business. This was also essential in my Insurance Sales experience especially since we had to create our own customer base to work with. Because of my background I put great emphasis on developing nests, referrals, and community involvement. If we have worked together in the past I hope this has been your experience. If we have not worked together yet, you may have a need now. Please contact me using my email or mobile phone number. Thank you, it is a pleasure to serve you.